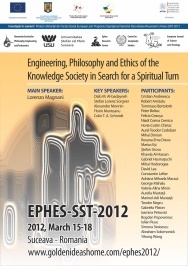 The activities of EPHES – SST - 2012 will be organized in Suceava. You can also use the rail stations Suceava or Suceava Nord. The best is to use the airport of Suceava, with a connection at the airports of Bucharest (OTP) or Timisoara (TSR). The next option is to use the airports of Iasi or Bacau.